Position after 45. … Ke4. White to move. This position arose in the game between Zhao Jun of Chengdu (2612), playing White, and Razvan Preolu of Dallas (2513), playing Black. Preolu has just played 45. … Ke4? ?, which in hindsight was a catastrophic blunder. But at the time, it surely looked like a reasonable attempt to penetrate White’s kingside with … Kf3 or at least to force White into a deeply defensive position after 46. Ne1. At this point Zhao had 22 seconds left to 19 seconds for Preolu. Zhao thought for 17.6 seconds on his move, and then uncorked the combination heard round the world. 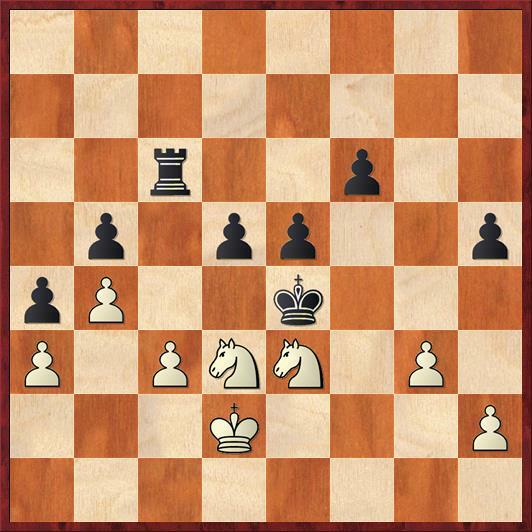 I have always been a fan of combinations where the king plays an essential role. By taking away the flight square on f3, White threatens 47. Nf2 mate! Black has only one defense. In any normal position this would be the game-winning move for Black. This isn’t a normal position. Of course Black cannot play 47. … Rxc5 48. bc because the c-pawn would queen. This little repetition of moves is fascinating from the psychological point of view. It tells me one of two things. Possibly White wanted to gain a couple seconds on his clock just so he could make sure of the checkmate. Alternatively, he may not have even seen the checkmate at first, and played 46. Ke2 with the intention of forcing a draw. 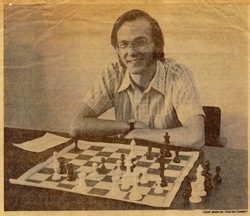 But then he read my recent blog post about “brilliancy checks” – in which I wrote about a game I played against the computer where I was intending to play a threefold repetition but then saw that the computer evaluated the position as a 17-pawn advantage for me. That inspired me to look for something better than a draw, and I found the winning line. Well, just kidding. I don’t think that Zhao Jun reads my blog. But it sure does look as if he did a brilliancy check here and found one for the ages. 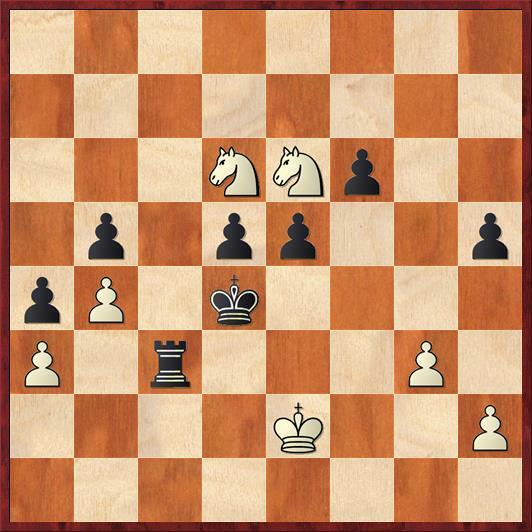 It’s just incredibly cool how White’s knights control all the flight squares except c3, which is occupied by Black’s rook (which is looking rather embarrassed about it). I’ve got to show the final position. How to end a chess game. Coolest mate ever? Well, maybe not, because back in the nineteenth century they had some pretty cool ones. And you could argue that all checkmates are equally cool, because they all end the game with a victory. It just goes to show that every day, somewhere on the Internet, somebody could be playing the greatest game you never saw. By the way, Chengdu won the match against Dallas, 9 1/2 – 6 1/2. In the night’s other matches, Montclair tied St. Louis 8-8 but St. Louis advances based on a better regular-season record. Minnesota beat Australia, 8 1/2 – 7 1/2, and Webster beat New York 9-7, setting up a match next week (Webster vs. St. Louis) that is basically St. Louis versus St. Louis. I’ve never seen another mate like this one I played in 1992. One of my better games. Another factor that adds to the aesthetics of this checkmate are the black pawns on e5 and d5. The knights appear oblivious to the black king in their neighborhood. Even though we all know knights do not respect pieces ‘in their way’ the pawns almost seem to form a protective wall shielding their king from the knights. In fact, of course, they merely serve to reduce the flight squares available to the king. It just does not look like much of an attack, much less a checkmate.